At the core of our approach to professional consulting exist: fostering of an environment conducive to quality performance by employees, developing a quality product or service, developing skills in a prospective employee or employer to attain specific goals, and promoting continuous improvements mandated by customer feedback and organizational goals. An environment conducive to quality performance must allow two-way communication between employee and employer to ensure the development of a quality product or service. Effective communication requires effective listening as well as constructive discussion of pertinent issues related to the mission of an organization. A prospective employee or employer must possess diverse skills to succeed in a highly competitive world caused by the continuous change in technology and obsolescence of previously attained qualifications. Continuous improvements are necessary to maintain customer satisfaction, to achieve organizational goals established by the mission, and to maximize the skills and potentials of all members of an organization. These concepts perpetuate excellence in any chosen profession. Claude Eubanks grew up in Louisiana. He attended Southern University in Baton Rouge, Louisiana for undergraduate studies, receiving a B.S. in Chemistry. During the mid 1960's, he participated in various scientific endeavors involving the National Science Foundation, various college courses, and a scientific cooperative program involving chemical research, respectively. He was also actively involved in residence hall council administration and student government activities. Claude moved to Alabama in the 1970's to accept a job as an analytical chemist with the Tennessee Valley Authority’s Division of Chemical Development in Muscle Shoals, Alabama. During the course of his twenty-four years of work at TVA, he pursued other goals that included chemical engineering, teaching, mentoring, and environmental technology. 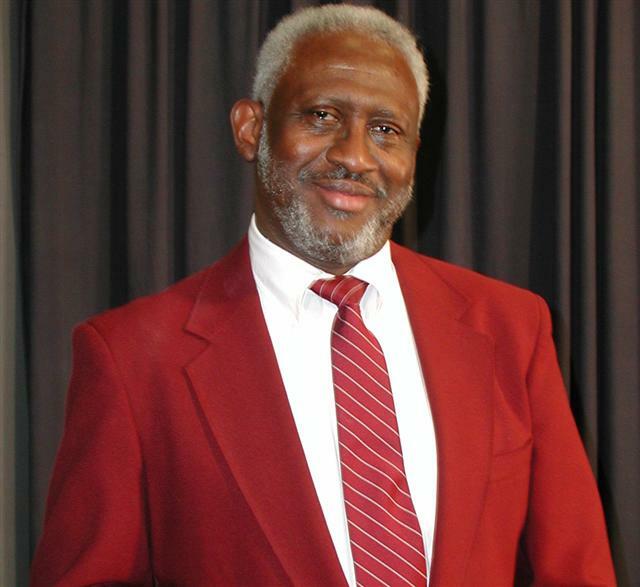 Claude Eubanks received a M.S. degree in Chemical Engineering from the University of Alabama and a Master of Arts in Education degree from the University of North Alabama with Class A certification in Math, Chemistry, and Educational Administration. Mr. Eubanks has presented two technical papers associated with chemical and metallurgical engineering at national meetings of the American Chemical Society (ACS) and the National Association of Corrosion Engineers (NACE), respectively. He has presented a special paper, entitled, “The Hidden Simplicity of Algebra” at an educational workshop in Muscle Shoals, Alabama. He has made other presentations in the areas of statistics, global warming, and environmental technology. Mr. Eubanks has worked as a chemist, chemical engineer, chemical plant manager, environmental compliance coordinator, environmental technology program director, statistical analyst, and instructor of math, chemistry, and physical science. He has more than 35 years of diverse work experience. Mr. Eubanks has more than 28 years of experience in education and more than 25 of the 28 years were performed concurrently with the industrial work experience. Mr. Eubanks has performed volunteer work at the TVA Credit Union for more than 20 years and has been actively involved at various times in activities involving educational activities. These educational activities have covered the years from 1974 to the present time. They have included service on personnel committees, search committees, Band Booster organizations, tutoring, special needs, speaking, and other various activities that support professional and educational excellence.